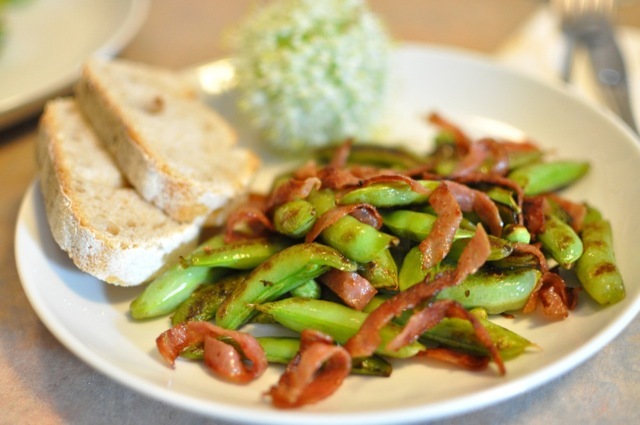 This meal was so simple, fast, and tasty that we are going to make it at least once a week while sugar snap peas are available. On any day where we need a fast dinner and might otherwise order in, we’re making this instead! It’s from the great book Fast, Fresh & Green.